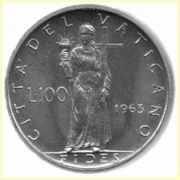 Summary: What is the meaning of the silver cup that the woman of Revelation 17 holds? And the woman was arrayed in purple and scarlet colour, and decked with gold and precious stones and pearls, having a golden cup in her hand full of abominations and filthiness of her fornication (Revelation 17:4). 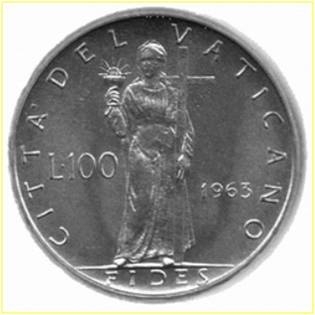 The woman with the golden chalice in her hand is a common symbol in Roman Catholic sculptures and paintings. No other Christian denomination has depicted itself in this manner. According to Revelation 17, the cup is full of abominations and the filthiness of her fornication, which represent false doctrine that she has made all the nations drink. And there followed another angel, saying, Babylon is fallen, is fallen, that great city, because she made all nations drink of the wine of the wrath of her fornication (Revelation 14:8). The veneration of Mary has also been upheld and, in fact, increased. The Bible, however, clearly says, “by one sacrifice he has made perfect for ever those who are being made holy” (Hebrews 10:14 NIV). iii. Council of Trent, session 13, Chapter VIII.